Here is the card I was going to post originally as my DT card for the Crafting When We Can Challenge ~ Just the two of us. 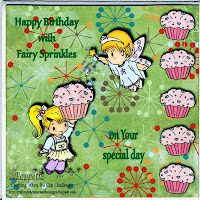 I made this card using CraftArtist. 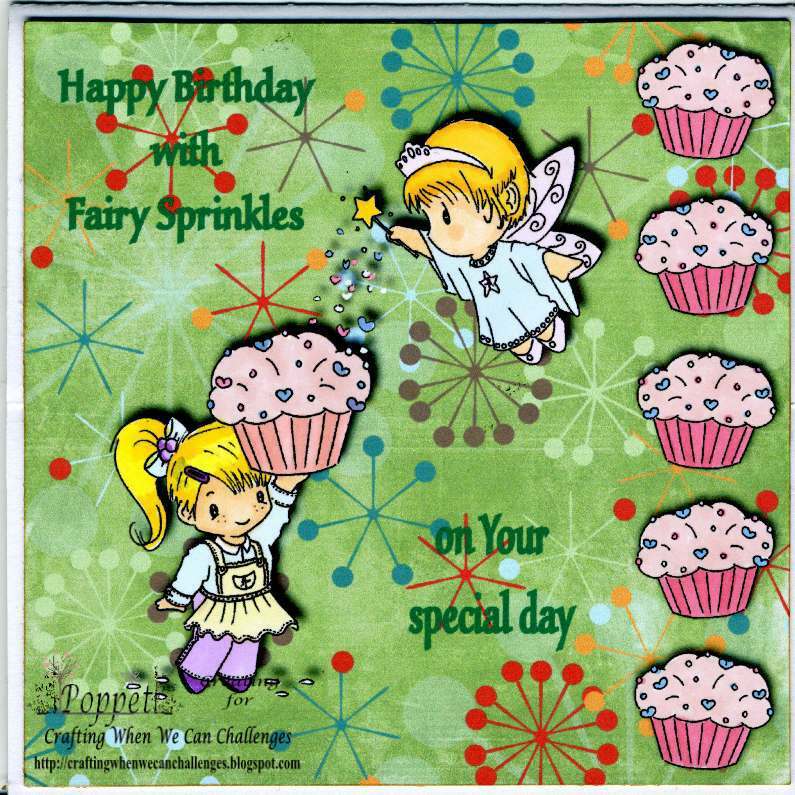 I put both images together on the background paper, I digitally cut out the cupcake to make the row of cupcakes down the side then I printed it out so I could colour the images in with my Copics and Promarkers. The two stopper cupcakes are just bigger ones of the border but this time I have cut them out and mounted them on 3d foam then layered them on top of a piece of ribbon. 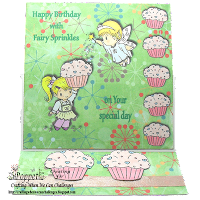 The beautiful images are by Angelique of Sliekje digi Stamps, Angelique is a very talented and generous artist who shares her 'scribbles' with the crafting world for free. If you hop over she has just posed her 150th image and I have every image she has posted. These are my go to images if I need to make a card quickly because I know I will find an image that perfectly fits the bill. a closer look at the top, doesn't the drop shadow give it real depth. I made up the sentiments on this card. I really like the one on the inside, the gems on the mat are real and layered on 3d foam as are the cupcake stoppers. Hiya. This is lovely. Full of colour and very pretty images. Gorgeous. Hi Poppet what a great digi card! I have not tried a card in serif yet only layouts. I will have to have a go. 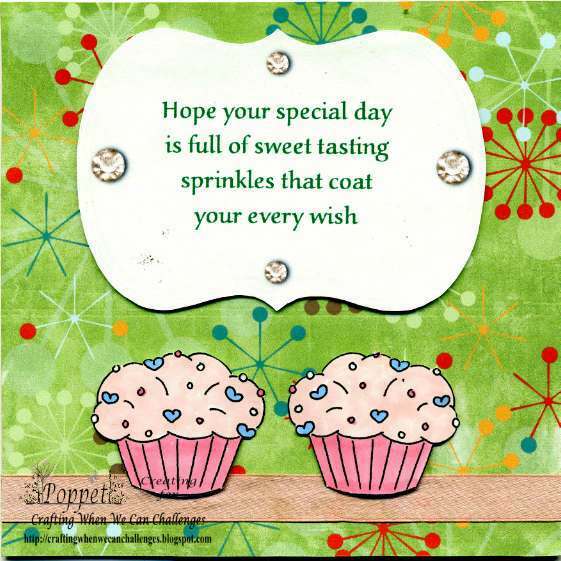 Your card is wonderful inspiration! Ahhh! How sweet! Thanks for playing with us this week at One Stitch At A Time! Best of luck in the draw! 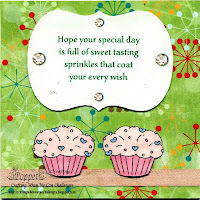 Hi sweetie totally gorgeous card loving the images & I soooooo lurve cakes.